We are excited to introduce a new land-use planning tool, the New England Landscape Futures (NELF) Explorer! 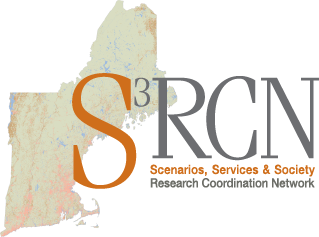 The NELF Explorer is a scenarios-based interactive land-use mapping tool created with the input of more than 100 New Englanders who helped develop the scenarios and reviewed the beta-versions of the tool. Check out the NELF Explorer here! With the NELF Explorer, you can visualize alternative future land uses over space and time at multiple scales including state, watershed, and town. You can also gain an understanding of how the different land-use scenarios would affect conservation priority lands such as wetlands and wildlife habitat. The scenarios in the NELF Explorer were generated by volunteers across New England who shared their visions for the future of the land. The scenario development process and the scenario narratives are described in detail in a companion publication, Voices from the Land: Listening to New Englanders’ Views of the Future. View the Voices report here. Here is a sample application of the NELF Explorer, contrasting the Go It Alone and Growing Global scenarios in Worcester County in 2060. What do you notice about the maps? How do the maps relate to the graphs showing land use over time? Based on the maps and graphs, can you think of how your life might be different in the Growing Global scenario compared to the Go It Alone scenario? Which scenario is better for wetland preservation? Why? The NELF Explorer helps us understand long-term consequences of land-use decisions we make today, via maps, graphs, and scenario narratives. This tool can be used by land-users and landowners, including conservationists, planners, developers, government leaders, and citizens who want to explore possible futures of our land. Stay tuned for events and supporting materials aimed at helping specific user groups apply the NELF Explorer to their work! Dive into the NELF Explorer, or ease in with our explanatory story map. Download the data you see in the NELF Explorer for use in GIS analyses. 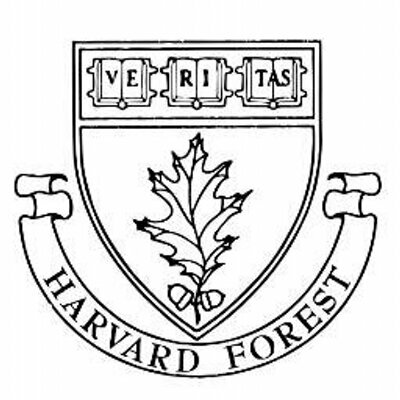 To sign up for email updates about NELF Explorer events and trainings, to request a workshop, or to ask questions, contact lucylee@fas.harvard.edu.